1. AGREEMENT: This agreement is for Lindsey Partridge to attend an event hosted by the event organizer (called the host). 2. SERVICE PROVIDED: Please discuss details directly with Lindsey Partridge to confirm activities for the event. 3. RESPONSIBILITIES OF THE HOST: It is highly recommended the event have an indoor location available in case there is adverse weather. It is highly recommended to have a sound system with a wireless headset. The host is responsible for all aspects related to the event including but not limited to: advertising, receiving registration, ensuring the facility is adequate (washrooms, food, etc), etc. • Average pricing participants $150/day for a one day clinic or $250-300 for a 2 day clinic, $125 for a private session, and $25-50 to audit (watch) per day. • Usually a maximum of 6 people in a group at one time. 30 minutes of private instruction can be ideal for people with a specific task they would like help with. If Lindsey is flying in for a clinic, it is the responsibility of the host to provide transport from the airport to the host facility or provide a car rental/taxi. A place needs to be provided for Lindsey to stay. This can be at the host’s home, hotel, bed & breakfast, or other guest home. If a hotel/accommodation needs to be booked/paid for it is the responsibility of the host. The accommodation needs to have Wi-Fi, a bathroom/shower, and bed. Either food needs to be provided to Lindsey, or the ability (time and access) to go purchase food/prepare. Lindsey does not have any dietary restrictions – she loves vegetables, fruit, eggs, meat, fish, potatoes, rice, and generally eats ‘healthy’ and tries to avoid a lot of gluten/high starch foods/sugar. 7. 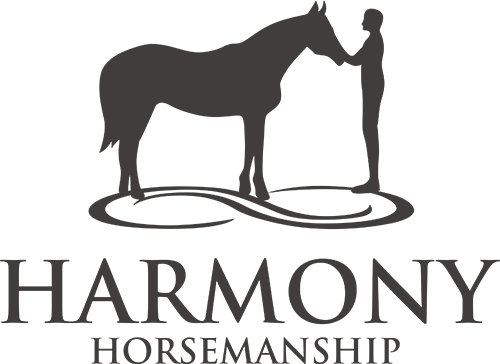 LIABILITY: The host does not hold Partridge Horse Hill (PHH), Harmony Horsemanship (HH), Lindsey Partridge, James Partridge, family, friends, helpers, or employees accountable for any damage(s) to the horse/pony, barn, facility, or any other damage/injury/death that may arise to human, animal, or property. PHH carries liability insurance. Lindsey Forkun, Lindsey Partridge, PHH, HH, family, friends, and/or employees are in no way responsible for any remuneration for any damage of any kind. A liability waiver must also be completed by the host and any person who wishes to participate in activities involving horses. education/monetized content and the host/people/horses in the footage will not receive remuneration. 9. WRITTEN COMMUNICATION: Written communication will be in the format of email, text, or written letter. Written communication will be considered valid.